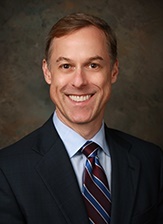 Franklin Codel, Wells Fargo's former head of Consumer Lending. SAN FRANCISCO — Wells Fargo announced on Friday that Franklin Codel, the bank’s senior executive vice president and head of its Consumer Lending organization, was dismissed, effective immediately. According to the announcement, the firing was the result of Codel acting in a manner that was contrary to the company’s policies and expectations of its senior leaders during a communication he had with a former team member regarding that team member’s earlier termination. “Difficult as this situation is, the decision reflects our commitment to our values and culture and to executive accountability,” said President and CEO Tim Sloan. “We have a strong team in Consumer Lending and I am fully confident that the transition will be smooth and that its business will continue to operate normally in serving our customers. The firing comes at a time when the bank is still recovering from the fallout of its September 2016 sales scandal, which resulted in the bank agreeing to a $190 million settlement with bank regulators. The scandal led to the departure of former CEO John Strumpf and former community banking head Carrie Tolstedt. Also departing were Dawn Martin Harp, who headed the bank’s dealer services business unit and retired this past April, and Bill Katafias, who joined Irvine, Calif.-based CRB Auto, a division of Mechanics Bank, in May. Replacing Harp was Laura Schupbach, who was appointed to the post this past March. According to reports, Codel, who joined the bank in 1993 and was promoted to head of consumer lending in October 2016, disparaged a bank regulator to a fired employee, who reported the executive’s comments to bank officials. Now subject to tighter regulatory oversight due to its sales scandal, the bank fired Codel once top Wells Fargo officials became aware of his comments. As head of consumer lending, Codel oversaw the bank’s home lending business, auto lending, personal lending, and student lending. Bank officials said Codel’s permanent successor will be named by the end of the year. In the interim, the heads of the group’s four main lines will report to Sloan. They include Michael DeVito, interim head of Wells Fargo home lending; Schupbach, head of Wells Fargo Dealer Services; John Rasmussen, head of mortgage production; and Laurie Nordquist, head of personal insurance.